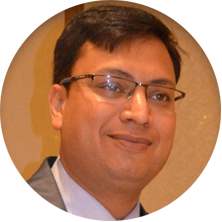 Dr. Amit Gupta is a Consultant physician and Diabetologist in Delhi NCR and has an experience of more than 10 years in this field.He is Director of Promhex Plus Healthcare Private Ltd and Director and Head Diabetology at Center of Diabetes and Allied Sciences Gurugram. He completed MBBS from Sardar Patel Medical College, Bikaner in 2004, DNB - Internal Medicine from St. Stephens Hospital, New Delhi in 2009 and MNAMS (Membership of the National Academy) from St. Stephen's Hospital Delhi in 2009.He has done fellowship in diabetes management (DFID) from CMC Vellore.He is a fellow of Royal college of Physician and Surgeons Glasgow (FRCP-Glasgow), Fellow of Diabetes India (F Diab), Fellow of International Medical Sciences Academy (FIMSA). He has been appointed as Communication Director by American Diabetes Association for Diabetes in Primary Care. He is a recipient of Diabetes India Diabetes Awareness Initiative Award 2016 and double helical National Health award for diabetes Education 2016. He has been awarded PadmakarTripathi Young Scientist Award for his contribution to diabetes before the age of 40 years. He has been awarded Investigator of the Year Award 2017 and 2018 by Indian Society of Hypertension. He has also authored several chapters in medical literature and contributed research article to various journals.